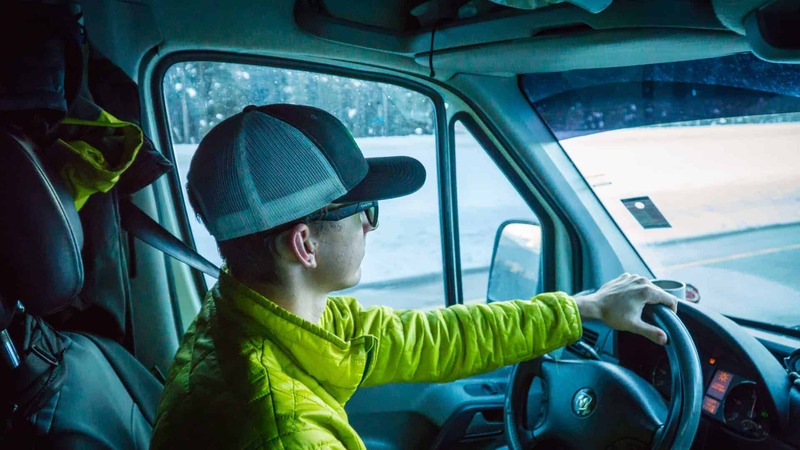 After our time in Sunshine Village, we were amped to get to ski Lake Louise Ski Resort. 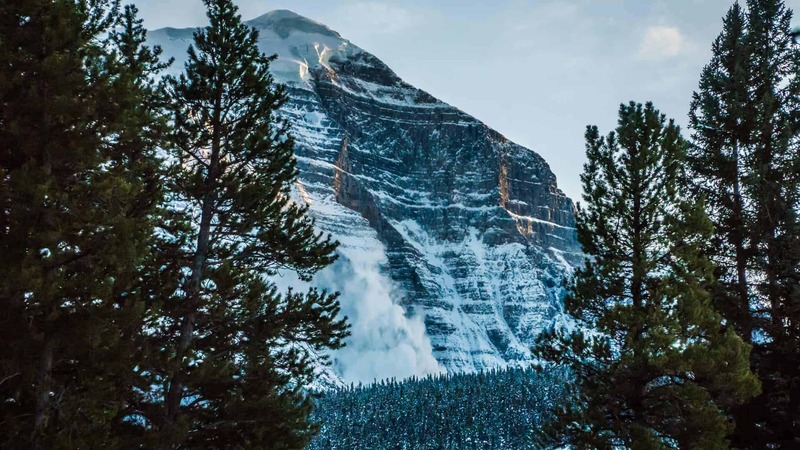 Located less than an hour west of the town of Banff, Lake Louise had definitely been talked up to us from many skiers. And with snow in the forecast, we were sure to have a blast there. Since Lake Louise ski resort was just 40 minutes from Banff, we were able to take our time driving there. We stopped a few times to take photos as we continued through the incredible Canadian Rockies. Arriving in the town of Lake Louise, we quickly realized that the “town” was practically non-existent. Consisting of only a few lodges, restaurants and one tiny market, the tour of the town was quite short! So we decided to just head over to the campground and get settled in. As we turned into our campground, movement caught my eye. Not an animal, though, but high up in the mountains ahead. An avalanche: just ahead in the ridge in front of us (but plenty far enough away that we were out of harm’s way)! Fumbling for my camera, Nate quickly pulled to the side of the campground. We each snapped a few photos of the snow glistening in the sun as it settled from falling – hundreds of feet, no doubt. After our hearts stopped pounding from that spectacle, we found our campsite and got settled in. 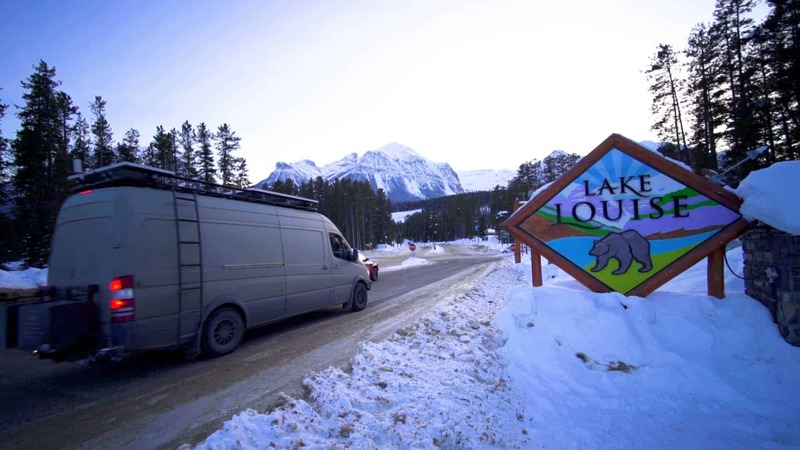 Similar to Banff, there is only one campground in Lake Louise that is open in the winter, the Lake Louise Campground, but there were more than enough campsites open without a reservation. 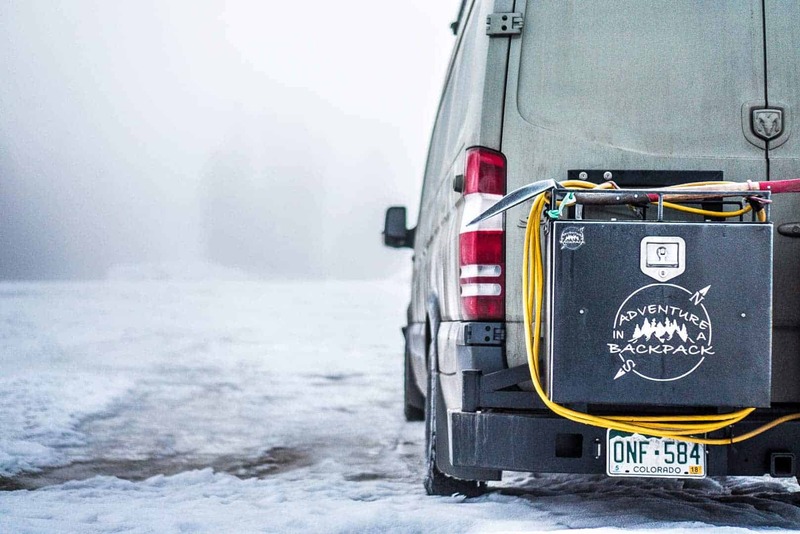 Winter camping at Lake Louise offers only electric hookups at the campsites, with water and sewage dumps available at the dump station. The bathrooms and showers were clean and warm. Not to mention the view is to die for! 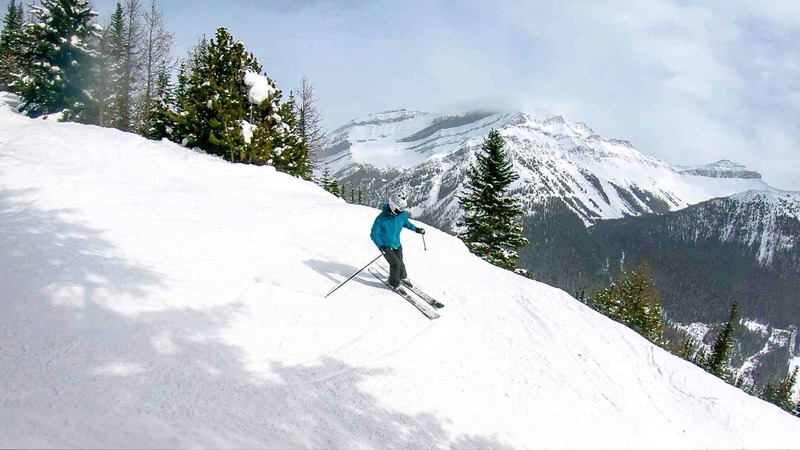 We’d heard awesome things about the skiing at Lake Louise Ski Resort. Many of the locals and other skiers told us the skiing at Lake Louise would be much better than Sunshine Village. As much as we enjoyed Sunshine Village, we were stoked to see for ourselves how good Lake Louise was. 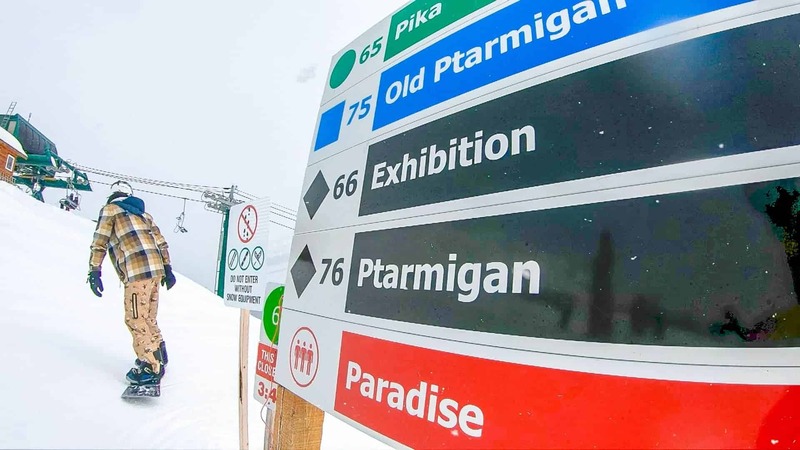 We spent most of our time skiing the glades off Ptarmagin lift at Lake Louise, although we did explore into Larch, Glacier Express, and Top of the World Express a bit as well. 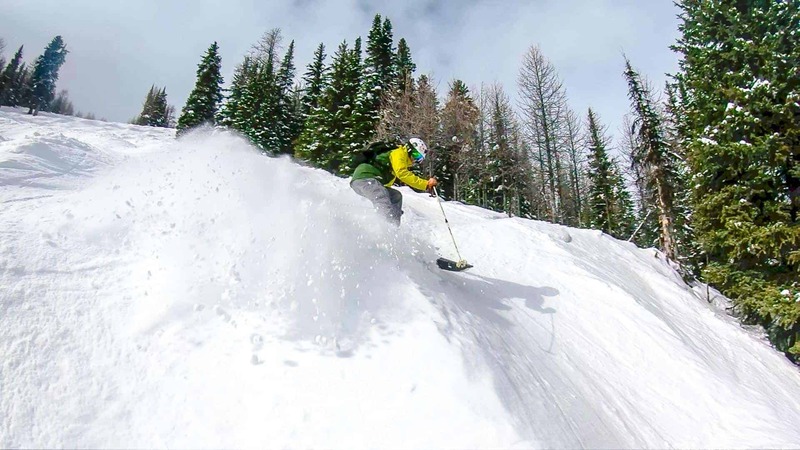 The glades off Ptarmagin were the favorite for us, with well spaced trees, plenty of powder, and a canyon run that was fun and challenging and overall fantastic! 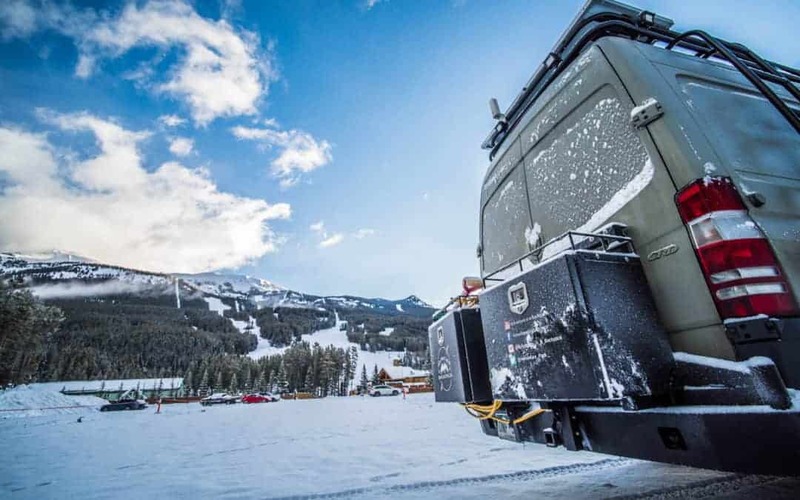 While we did find Lake Louise to be an awesome ski resort, I still think we would rate Sunshine Village higher with more diverse terrain and a much better apres vibe. To break up all of our skiing a bit, we decided to go visit Lake Louise. Initially, we had planned to ice skate on the lake. In my head, I had pictured the lake being a massive ice rink with plenty of room to skate and explore and connect with nature. In reality, Only small square portions of the lake had been cleared of snow, creating a manufactured feeling rather than the freeing feeling that I had pictured. We opted out of renting skates and decided to hike across the lake instead. 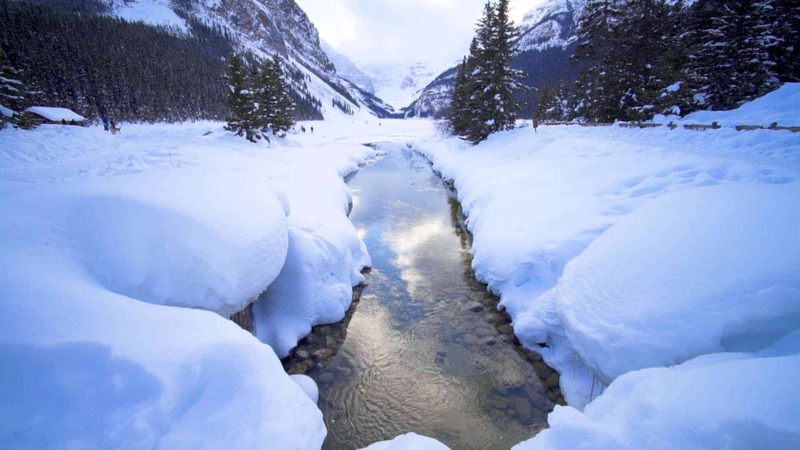 Hiking across Lake Louise in the winter is a fun, easy hike. More of a walk, truly, although depending on snow conditions it can be slushy, deep snow, or hard packed snow. Round trip from the Fairmont Chateau to the massive waterfall at the end of the lake is about 2 ½ miles. 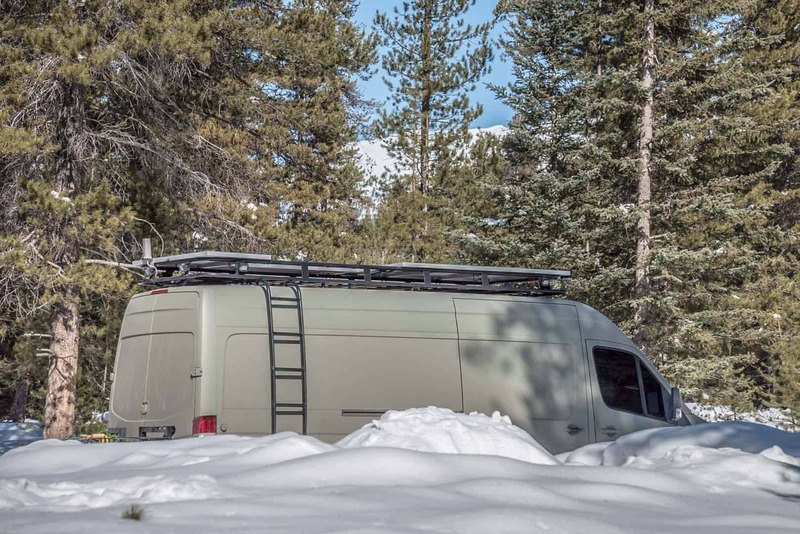 With no elevation gain, it makes for a nice easy walk. Tip: start the hike across Lake Louise closer to sunset and be treated with incredible sunset views and a trail practically all to yourself! Be prepared for the cold walk back, though! Skiing at Lake Louise was fantastic and we truly enjoyed the mountain. The town, on the other hand, was quite disappointing and left us wishing there was more to do in the evenings. With no breweries and only a few lodge restaurants with prices way too high for the ratings, we opted to stay at the campground in the evenings instead. Seeing the majestic lake in the winter and hiking across it was incredible and offered 360° picturesque views. Even with the lack of social life in Lake Louise, this is definitely a place we will visit again. We can always socialize down the road in Banff!